The Heimbourg and Rotenberg vineyards enjoy similar growing conditions. The west facing higher altitude offers a cooler and late ripening climate. The rocky aggressive but poor soil doesn’t allow for a very vigorous growth. 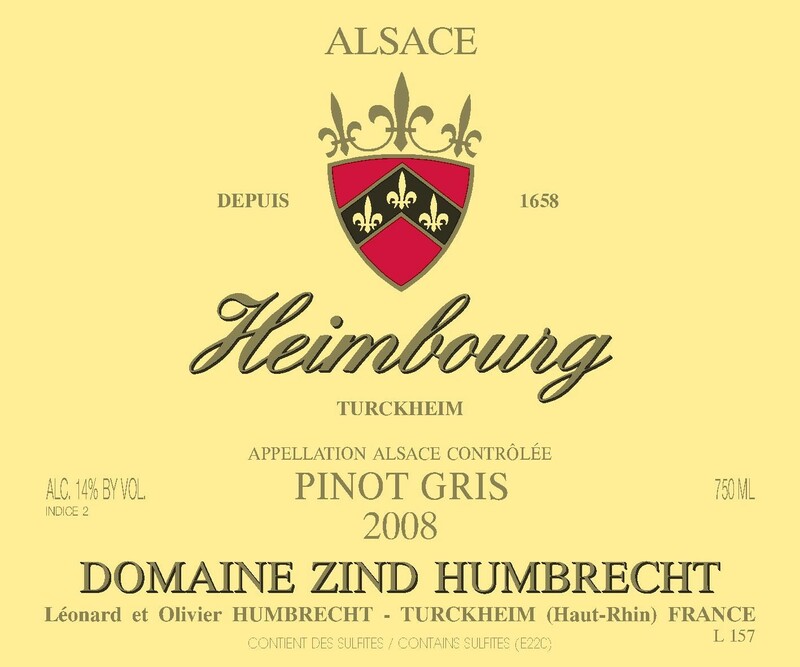 Both vineyards have a tendency to develop noble rot, but in 2008 it happened slowly, and we were able to select the healthy clusters in order to make this drier style wine. The perfect health condition, great acidity, small yields and not too much sugar content helped us to produce elegant drier style Pinot Gris. We claim ourselves to be ‘non interventionist’ in winemaking (horrible word), which is true, but there are some little details that can influence the direction of the wine. One of them is how the must (juice that runs out of the press) is sedimented and racked. The higher the botrytis or rot, the more severe we should be. The healthier the grapes and the more we want the wines to ferment, the more we will leave fine sediments so the yeasts will have more natural nutriments. 3/2010: profound ripe but elegant aromas. It develops classic honeyed and nutty flavours, still quite restraint, with no sweetness at all on the nose. Slightly less crisp than the Rotenberg, the Heimbourg is a real star in 2008 and shows its potential. The palate is dry, velvety with a long finish. There is perhaps a little more richness there, hence the indice 2 rating, but will go to 1 soon.